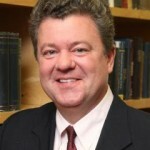 Dr. Mark Thornton: Trump's Supply Side Economic Will Not Save The Economy - Wall St. for Main St.Wall St. for Main St.
Wall St for Main St welcomed back Dr. Mark Thornton, he is an Austrian economist and Senior Fellow at the Mises Institute. 1. What is supply side economic and what does the Austrian school of economic think of it? 2. Discuss Trump’s economic policies and if it is enough to revamp the stagnant economy. 3. Why Reaganomics worked well in the 1980s? 4. Will Trump’s economic policy cause more inflation? 4. How government subsidies contribute to the Skyscraper Curse?